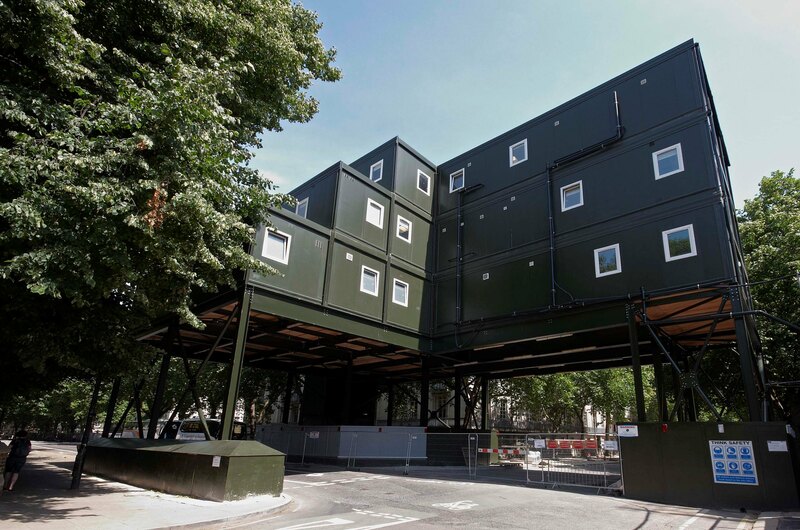 The British Museum is one of London’s most iconic buildings with over 6 million visitors a year, when they were looking to expand through the build of a new World Conservation and Exhibitions Centre, Premier Modular Limited were appointed to provide temporary welfare and office facilities. The new buildings, used throughout the construction of the centre, consisted of 24 modules and accommodated 500 operatives and 60 staff. 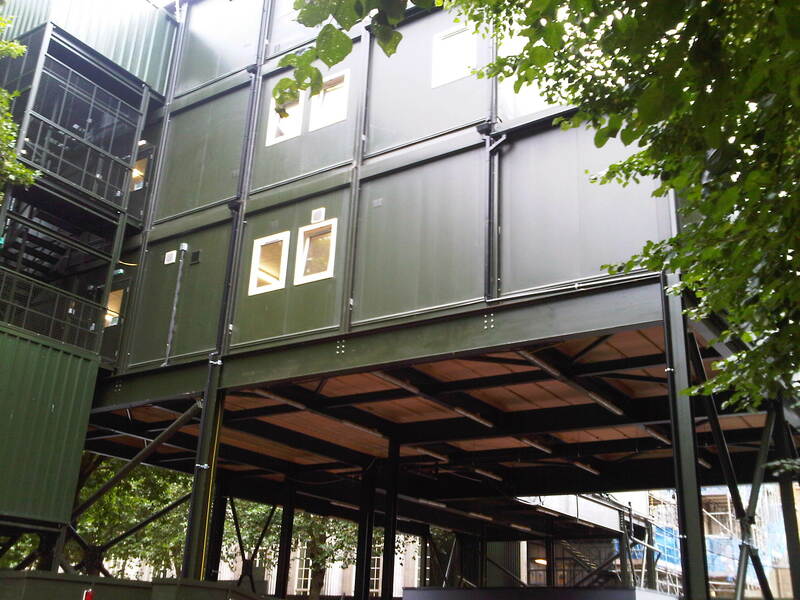 Due to the location and limited space Premier designed and manufactured a steel gantry to span the road adjacent to the museum and provided a 3-storey building which consisted of toilets, drying rooms, canteen and office facilities. The project was a great success and Premier was presented with a Safety Award for our approach to delivering the project. The Appointed Project Director of The British Museum said: “It was great to be able to give this award to Premier as part of the British Museum, especially seeing as safety is a key part of day to day operation.